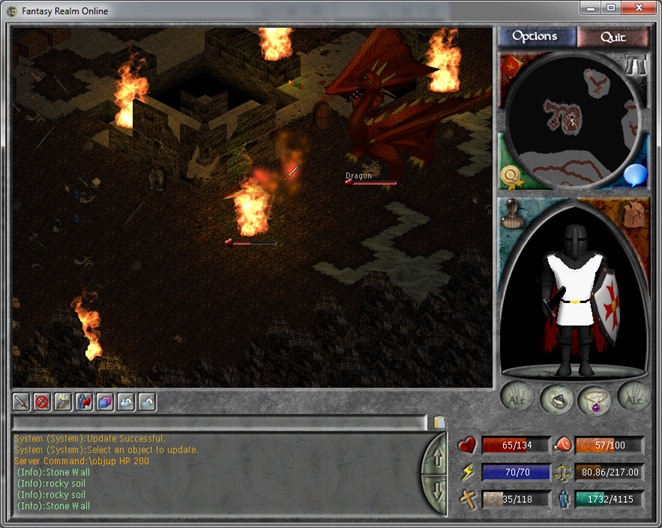 Fantasy Realm Online is a sandbox style MMORPG that blends many of the classic aspects of single player RPGs and a massive multiplayer game. The world can be explored as a brave adventurer that allows you to battle opponents, collect treasures and build your character through quests and combat experiences. You can also explore the world as a merchant, apprentice under shop keepers, mine mountains for precious metals and chop through forests for rare woods, even craft items for other adventuring players. Ally with the Forces of Good or Evil: Join with the forces of good or evil, to receive special skills that will help defeat the opposite side. 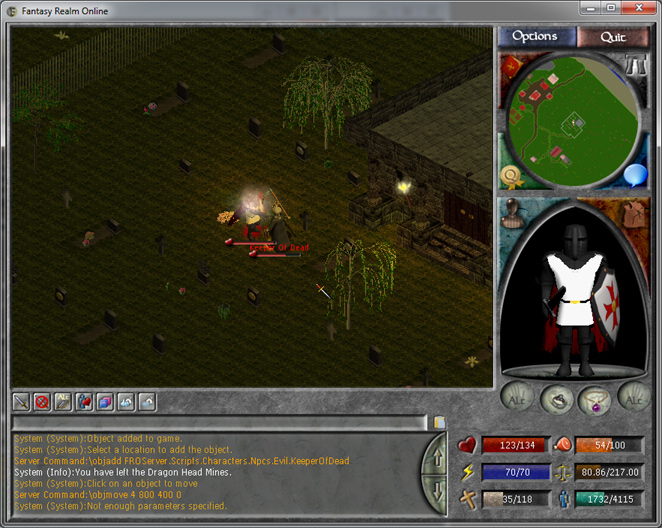 Both sides also provides you with unique questing opportunities and a chance to influence the story line of Moon Haven. Realistic Weather System: It rains, snows, gets foggy, thunders and lightnings in Moonhaven with moving weather patterns and storms. 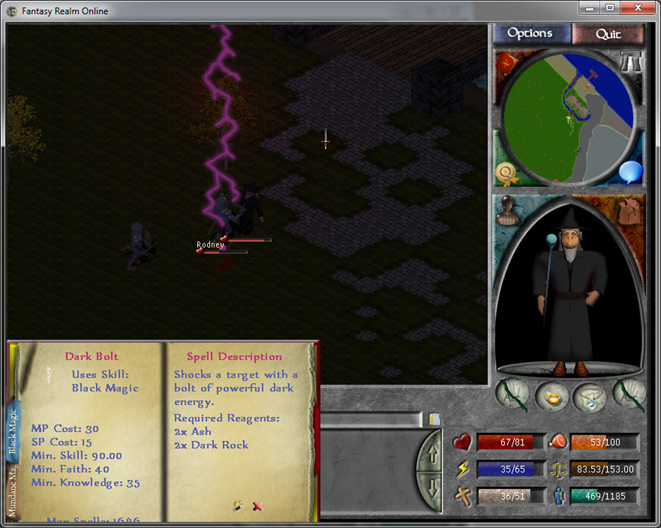 The weather and time of day may effect many things such as creature spawn combat damage and chance to it. 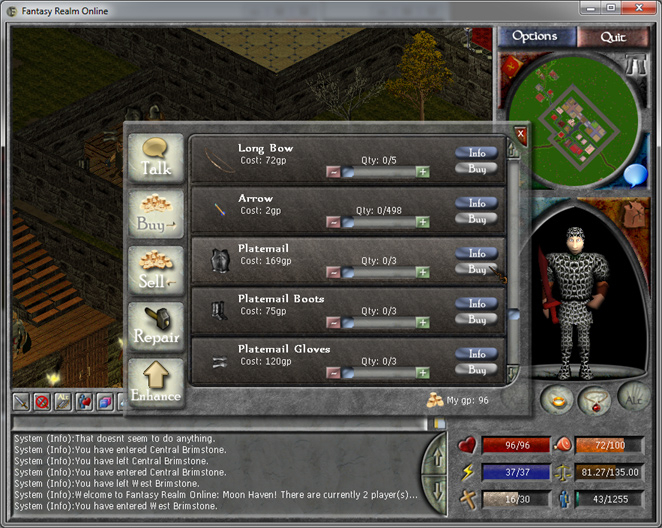 Easy level system: Build your character the way you want without an over complicated skill system. 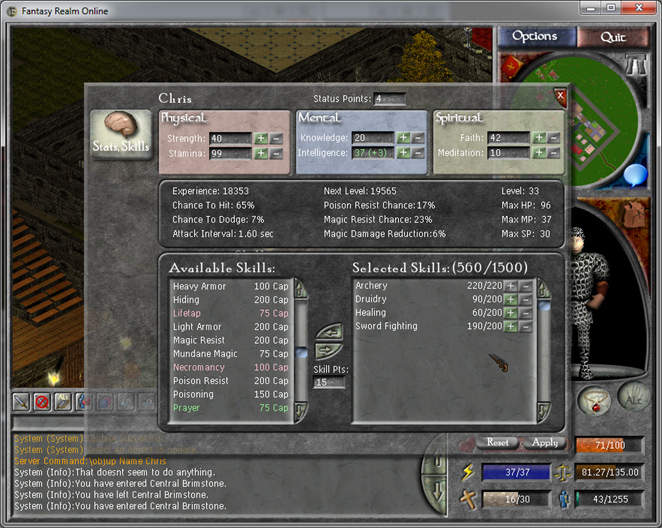 Moonhaven implements a guided skill system that provides your character with unique skill sets to your character class and choices for new skills as you gain levels. Master Powerful Spells: Over 75 spells are already in the works spread across 3 different character classes. 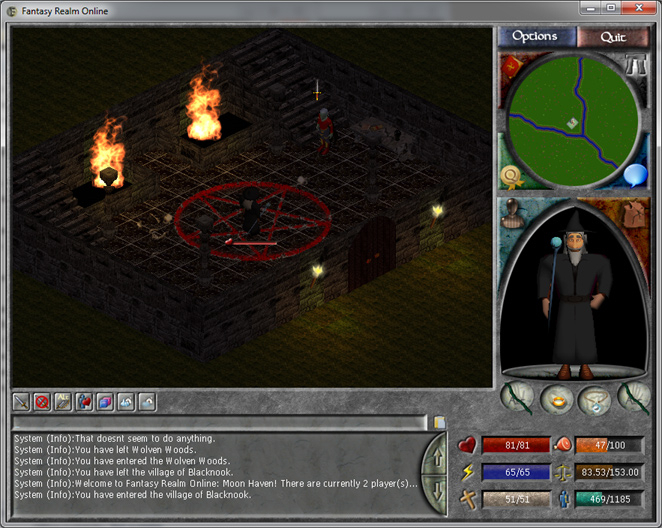 The magic system in Moon Haven will offer more and more spells as the game develops each character is only limited by their knowledge.